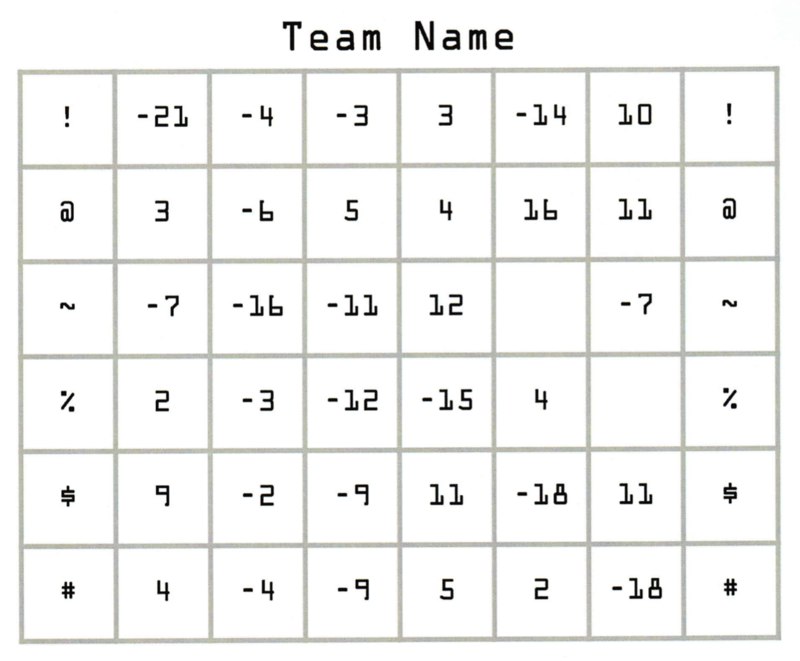 We have occasionally had players muse that it would be fun to trickle out a “long game” sort of puzzle via team name in the monthly Puzzled Pint standings over the course of many months. To my knowledge, we now have our first standings-based puzzle. There is a team of players in Portland that, since October, have been putting their team name on their answer sheet as a sticky-label of symbols and letters. For instance, when they started this weirdness, they were known as “! XEHPOH !” on the answer sheet and in the Portland standings. I’m not sure I know the entire team, but I do know the two responsible for this puzzle. One has been a Puzzled Pint guest author and another will be soon. And please try to avoid putting spoilers in the comments!